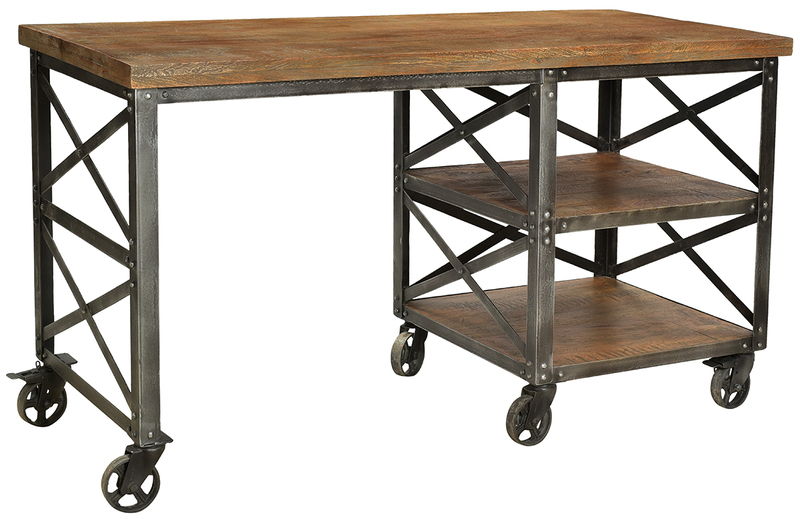 Industrial Rustic Desk With Cast Iron Wheels = Free Delivery! Reclaimed wood & iron desk with rolling cast iron wheels and functional open shelves. The Urban Loft Rolling Desk is ideal in any space and features a rustic chic style. FREE Curbside delivery, Some assembly.